New Zealand getaways are about escaping the regular routine with some well-deserved time away. Whether you're a local after a staycation or something within driving distance, or your visiting and after amazing New Zealand holidays, there's something for everyone. Treat your significant other to an overnight Rotorua getaway with dinner and massage. This overnight stay is all about relaxing and indulging on a delicious 3 course dinner that you'll be sure to remember. Kick back in the beautiful surrounds with the romantic retreat at Paraparaumu Beach. This 2 night escape is perfect for a local or visitor with the cottage coming with a breakfast hamper and welcome bottle of wine and antipasto platter. If you're after one of our New Zealand holiday packages that is more adventurous, then the overnight luxury glamping on Slipper Island with transfers is perfect for you. 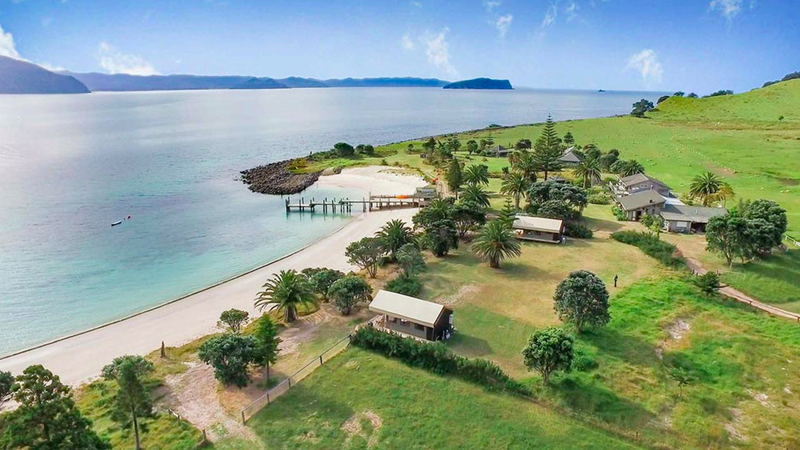 Escape the hustle and bustle of the city to the serenity of Slipper Island and enjoy sensational views over the ocean. For a New Zealand holiday for the ultimate adventurer, the four day mountain traverse and helicopter flight package is for you. This getaway will see you embark on an incredibly scenic alpine traverse and take a spectacular helicopter flight. No matter if you're after romantic getaways, adventure holidays, spa retreats or golf resorts, our New Zealand getaways has the perfect escape for everyone.